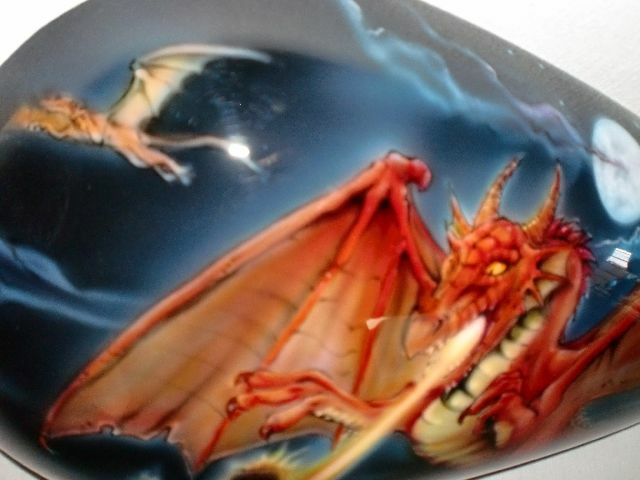 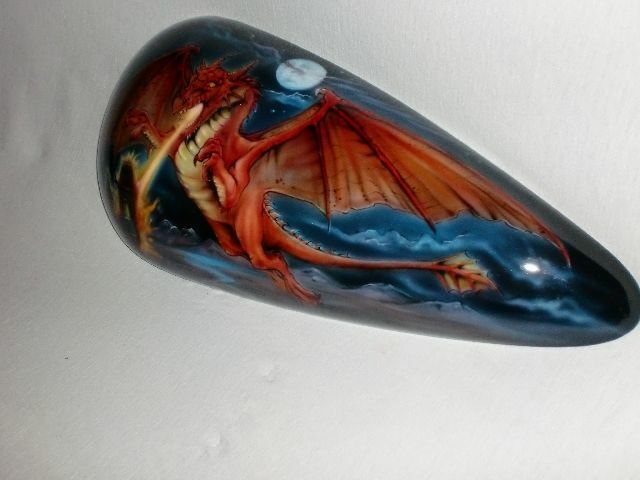 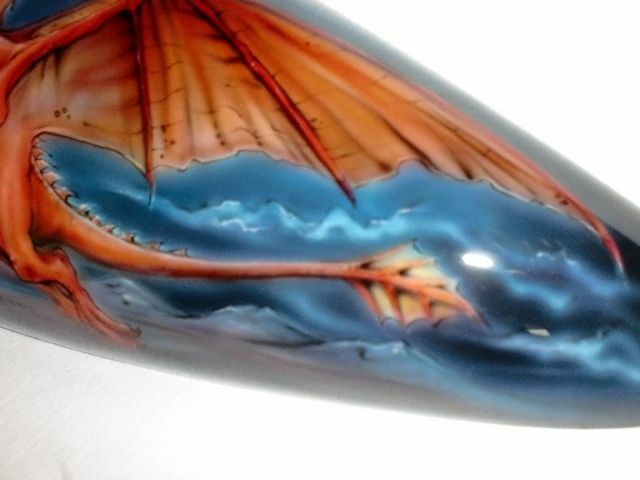 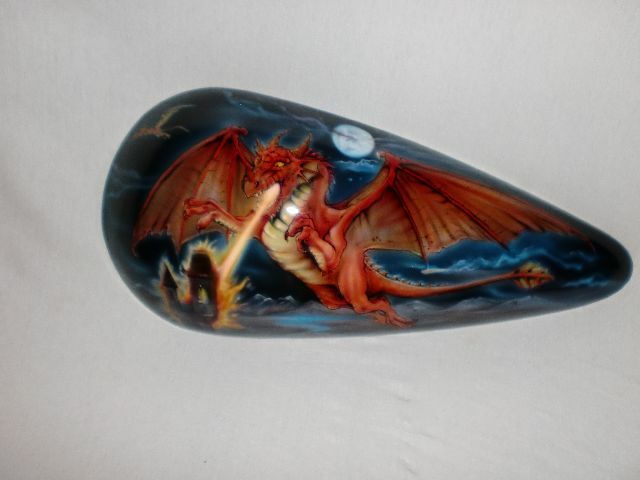 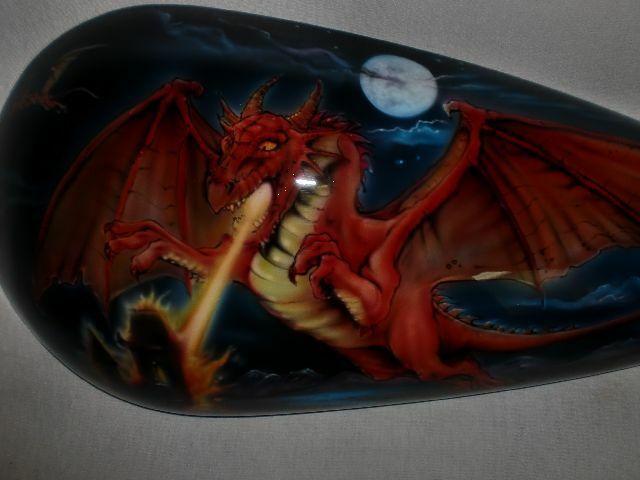 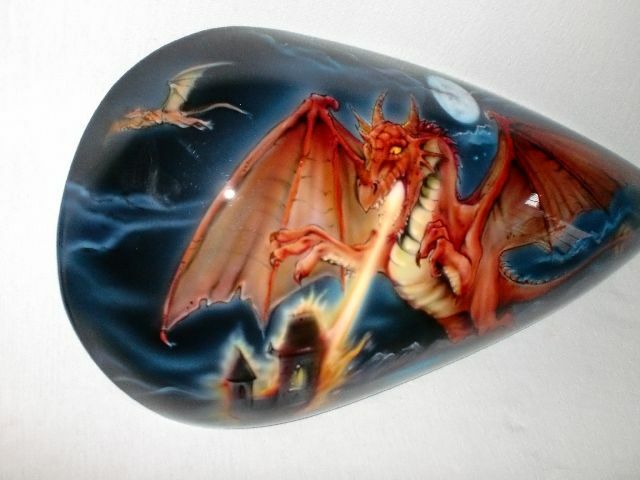 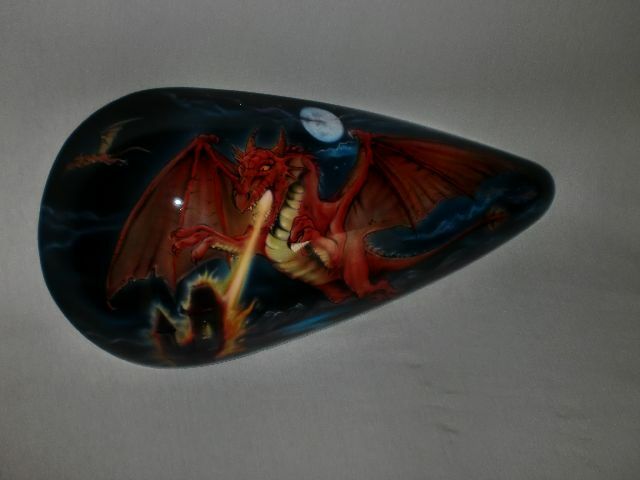 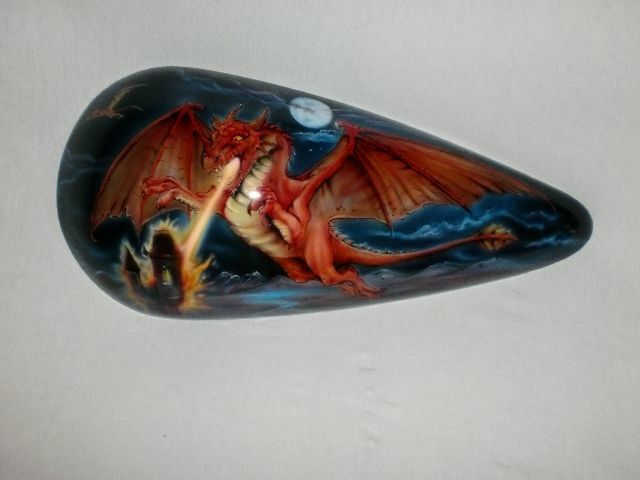 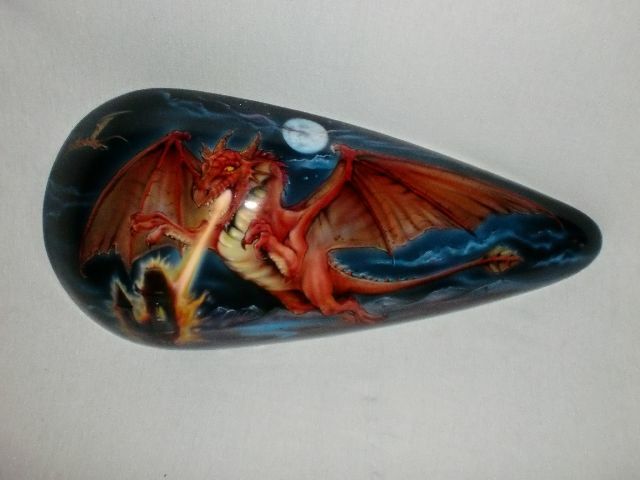 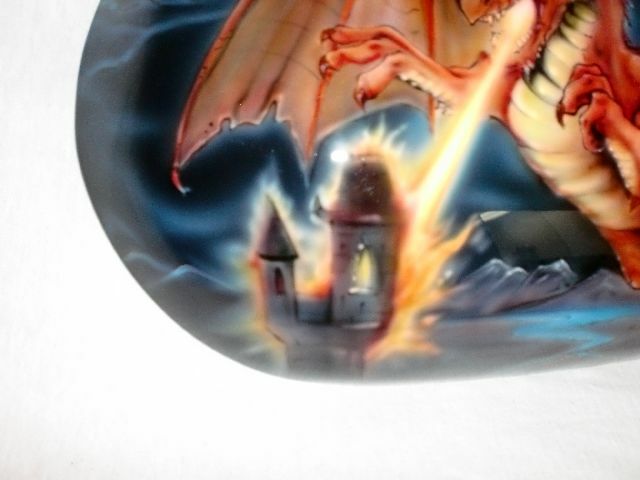 Detailed airbrushing illustrating mid-evil dragons soaring through the dark night, while one attacks a castle with fierce fire. 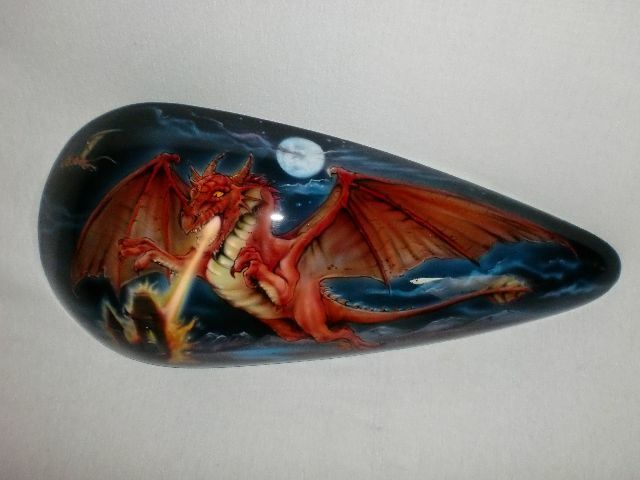 One of a kind, choose your colors to make this design stand out. 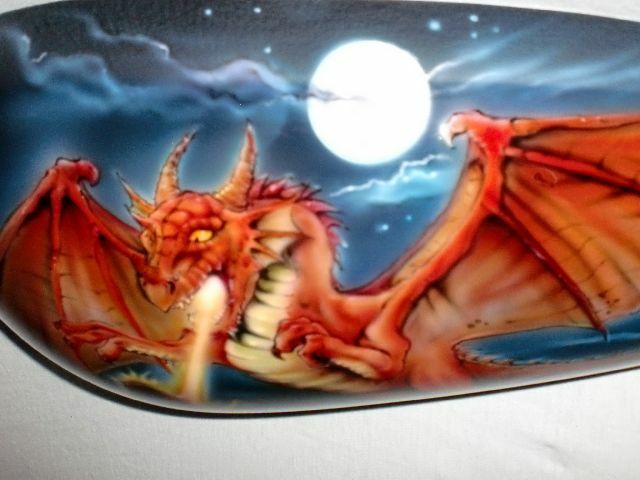 You could also add lightening to the night to give it an even more mid-evil look.